Compuprint - EP Technology Inc. The Compuprint 10300 combines the performance and ruggedness of a line printer, while offering the paper flexibility and the superior print quality of a 24 pin serial matrix printer. It provides an excellent solution for mission critical printing needs, even in harsh working environments. The Compuprint 2056N is ideal solution for printing in hospitals, hotels, retail stores, airport check in, banking, pharmaceutical or healthcare, education and public administrations and POS environments. It is a very economical printer and suitable for printing applications using multipart forms, single sheets, labels and envelopes. 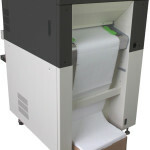 The Compuprint 3000 family is designed to be the ideal solution in Office and Industrial, logistics environments. Its robustness and reliability provide unmatched performance and flexibility to support a variety of forms and documents printing. A complete range of products ready for any environment including the LAN thanks to the integrated Ethernet board. The Compuprint 4247-L03 is a low-cost alternative for supply chains, offices and retail stores with low- to mid-volume output requirements. The printer is exceptionally reliable and provides forms flexibility, support for wide-format printing. With print speeds up to 800 cps, 18 pin print-head, the Compuprint 4247-X03 is designed for high output performance in demanding print environments -from the office to the warehouse- the Compuprint 4247-X03 industrial strength printer provides professional reliability at a cost of ownership that is surprisingly attractive. The model is the top of the product’s line, it prints up to 1.100 cps, and the 18 pin print-head with a life of 700 millions characters provides high reliability. With a strong and durable metal cover, the Compuprint 4247-Z03 is built to deliver outstanding performance in the most demanding and rigorous environments. The Compuprint 6210 is a portable thermal printer that allows business to quickly print receipts and tickets in all environements. Using Compuprint 6210 users are able to print receipts, tickets, coupon and labels almost anywhere, directly from tablet PCs and other mobile devices. 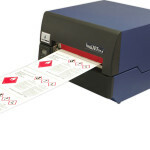 The Compuprint 6214 is a powerful desktop barcode label printer fully equipped with several user friendly interfaces. It offers users a durable, technologically advanced thermal printer with the design principles that have proven successful in previous thermal printers. The Compuprint 6314 is designed to address the desktop and light industrial marketplace with the performance and value required in these healthcare, light industrial, retail and shipping applications. 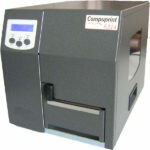 The Compuprint 6314 is feature-rich printer built with a full metal structure, creating a desktop/light industrial performance printer at a value price. The Compuprint 6414 offers users a durable, technologically advanced thermal printer with the design principles that have proven successful in other CPG thermal printers. The small footprint makes the printer suitable for use when space is limited.